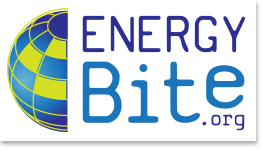 Energy Bite is a weekly 90-second podcast where listeners can learn about energy innovation opportunities and challenges related to everyday life. Episode 186: A lot of cities have goals to reduce greenhouse gases. What are they doing in Pittsburgh? Have you ever wondered what cities are doing to reduce greenhouse gases? On this week’s Energy Bite, Kelly Klima, a research scientist at Carnegie Mellon University, has some answers. Episode 185: What exactly does the “metric global warming potential” entail? Have you ever wondered what exactly the metric “global warming potential” entails? On this week’s Energy Bite, Kelly Klima, a research scientist at Carnegie Mellon University, has some answers. Episode 184: As our population changes, how will energy use change? Episode 183: What exactly is the “Food-energy-water nexus”? Have you ever wondered what exactly is the “Food-energy-water nexus”? On this week’s Energy Bite, Kelly Klima, a research scientist at Carnegie Mellon University, has some answers. Want to propose a question for a future show? What question do you think our experts should answer?